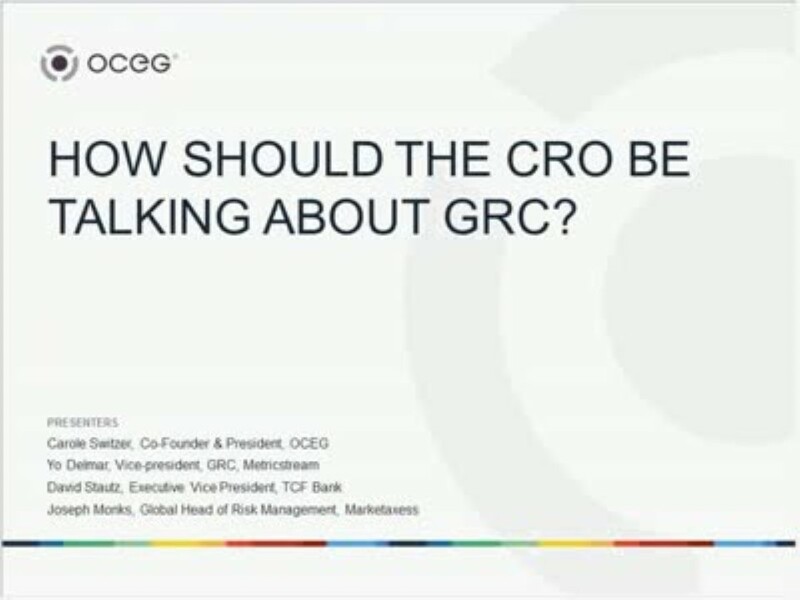 How Should the CRO be Talking About GRC? Developing a mature integrated GRC capability that drives Principled Performance requires the participation of many players. In this webinar, we discuss how the CRO should guide critical conversations and actions throughout the organization to achieve the greatest value from its GRC strategy. Business success depends on collaboration and shared understanding of how your organization operates, what its strategic and operational goals are, and what risks and requirements it faces. The CRO has a key role to play by guiding a series of critical conversations that will help to develop and drive the GRC strategy and a sustainable, cross-functional set of GRC capabilities. Whether you are the CRO or a member of the risk team, or are in another GRC role, this webinar will help you understand the conversations that should be taking place and to participate in them in your own organization. Identifying key points for CRO conversations with the Board and executives that will break down organizational barriers to effective risk management, compliance efforts and implementation of the overall GRC strategy.